So here we were hosting a traditional Thanksgiving Day feast (or, as the historians like to call it, “Native American Massacre Day”). Just our luck we had a power outage that day, starting about noon and lasting until 10:00 PM, just about the time people were leaving. A brief panic ensued; after which time Plan B was amassed: Our kids live about two miles away, and they still had power. 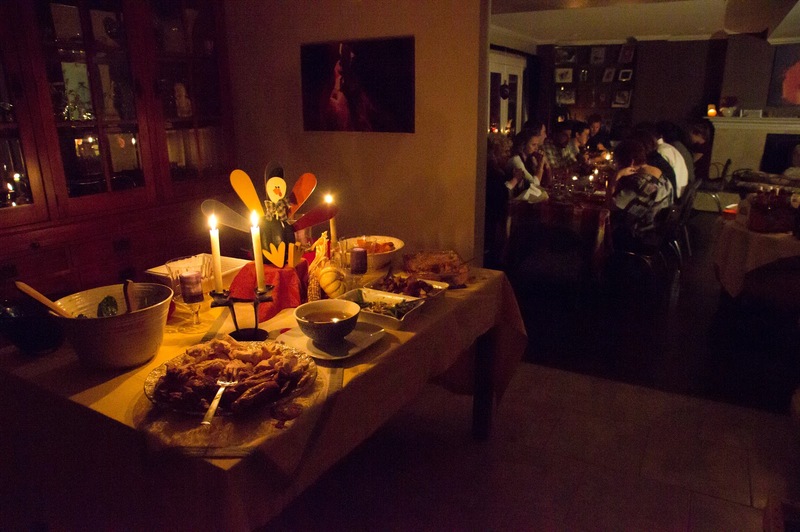 We moved the entire feast over to their ovens, and started getting out the candles and camping lantern. Baked desserts were completed on the BBQ. Whipped cream was whipped via a battery-powered drill retrofitted with a beater. 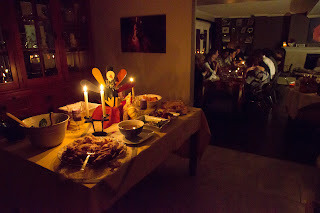 And Thanksgiving was held, successfully, by candlelight.